•Add your dedication (write the texts in the "comment area" and make sure the spelling is checked): child's name; specify who is offering this gift to the child; a dedication – one full sentence. To order a book, a free account using a valid e-mail address is recommended; we will notify you, by e-mail, during the process of creating, printing and shipping the book. 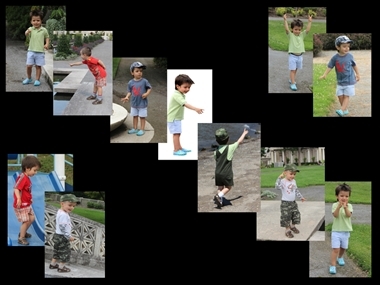 The sample book shown here incorporates 11 different pictures of the same child. The number of the pictures is customer choice (5 to 25). After removing the background, the pictures will be incorporated on the pages (cover) of the book and the best 5-10 original pictures will appear again, as they were originally, framed on pages 12 & 13. 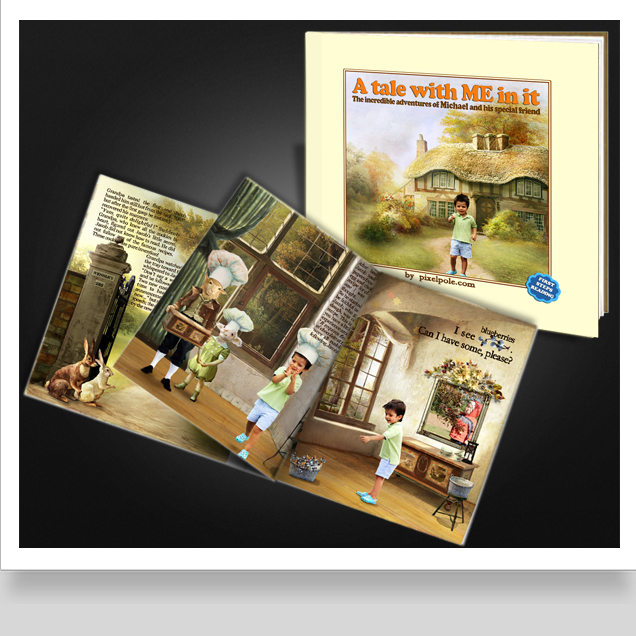 The book (customized with the pictures of one or many children) can be printed up to 30 copies at a time (class-books). * If you're not sure about what pictures are suitable for this project, you can upload up to 30 different pictures (size: 0.5MB up to 3MB) into My Pictures, under My Account, after you sign up; we will give you all necessary advice and help you make the right choice. You will receive all the updates about the progress of our work by e-mail. Please click HERE to learn more about printing options, promotions, delivery time and shipping.